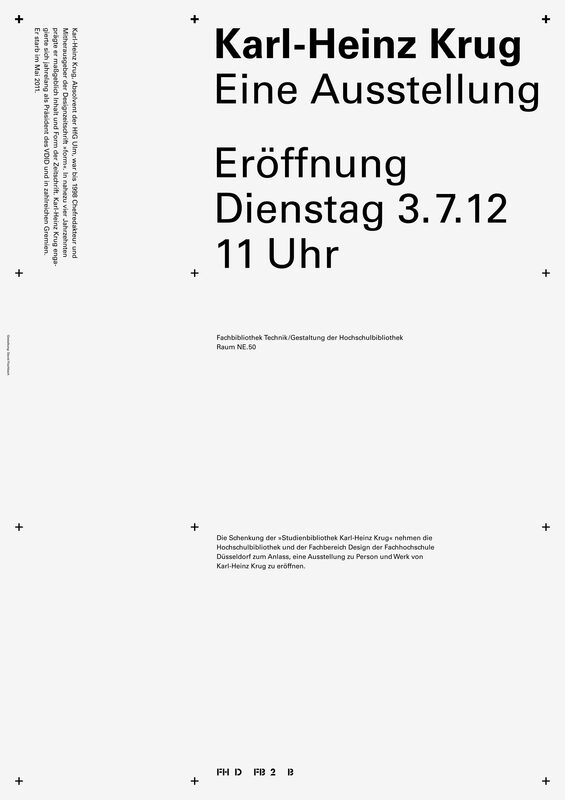 Thanks to the Design Department of the University of Applied Sciences Düsseldorf, in 2011 the university library received a gift from the estate of Karl-Heinz Krug. 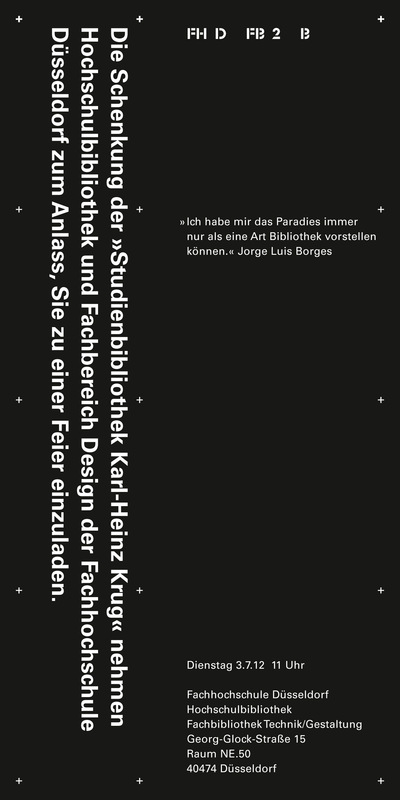 The Karl-Heinz Krug Research Library includes approximately 1500 volumes from the estate of the long-standing editor-in-chief of prestigious design magazine »form«. The items are held separately in the technology/design library and can be borrowed over the weekend. 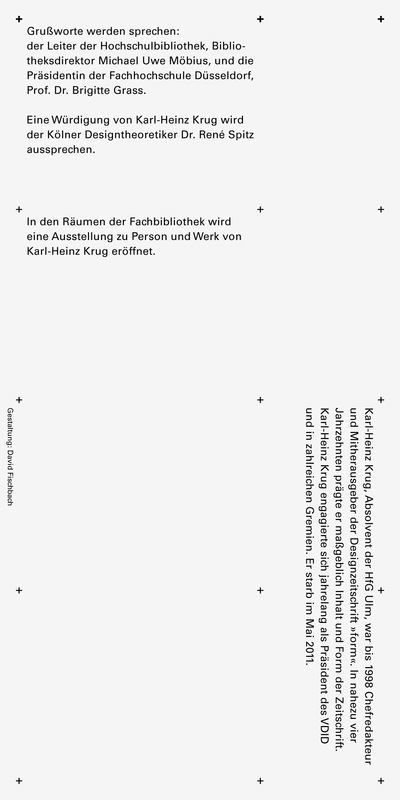 For the opening of the research library a poster and invitation was designed, as well as a stamp for all books and magazines from the Karl-Heinz Krug estate. 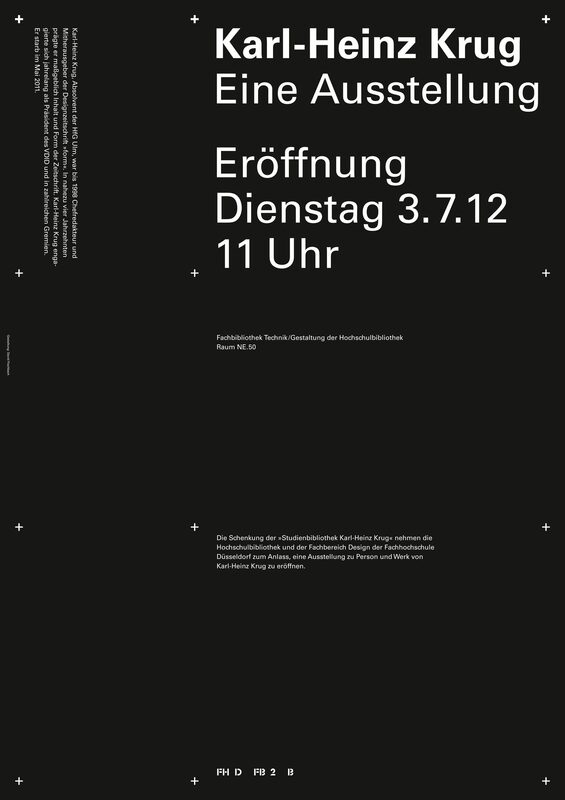 Karl-Heinz Krug (1934-2011), a graduate of the Ulm School of Design, was editor-in-chief and co-publisher of the design magazine »form«. For nearly four decades, he significantly shaped the content and format of the magazine. Karl-Heinz Krug was the president of the VDID for many years and was on numerous committees.